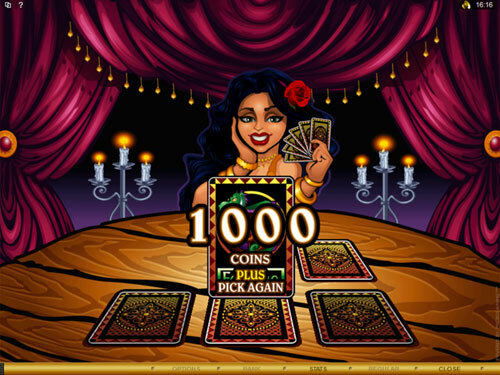 Drop into the 5 reel 20 payline camping-ground and meet with powerful gypsy to find out your future PRIZES. 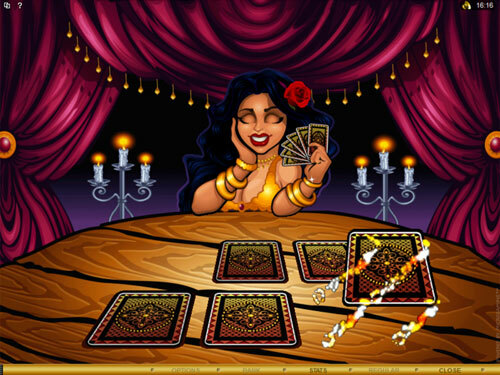 Dare to gaze what is coming with tarot reading, palm or crystal reading to become a rich man. Just use a chance to take a glimpse of your future and make a good hand of it! I see! I see! 2+ Crystal Balls land on the adjacent reels from left to right. Hm… You should better sit down before I tell you your future… So, it means that huge money winnings and GREAT JOY are coming to you. Yeah! But… There are 2 ways leading to the happy future – Mystery Bonus and Free Spins Feature. Crave to find out what road is yours? 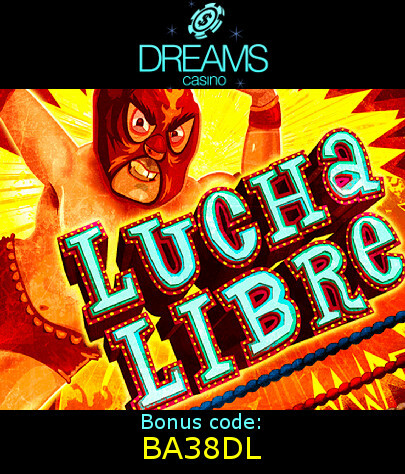 Then trigger the bonus to reveal it! However, both ways promises only pleasure and nice scoop. 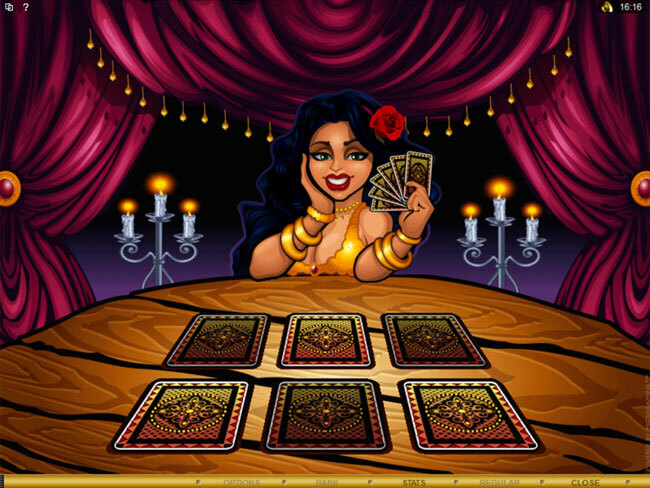 If you get Mystery Bonus, then you are a lucky devil because it’s gypsy queen to read tarots and predict your future money winnings! Are you ready to hear your fortunetelling? Pick card by card and reveal… No, not your destiny, but your money prize! 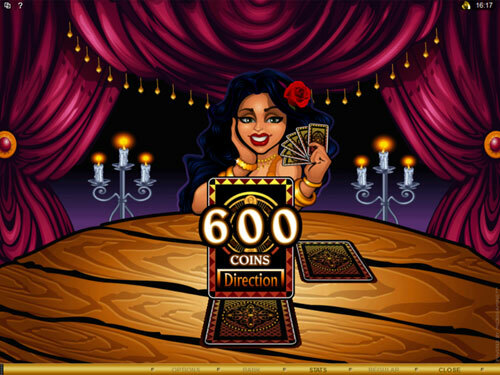 So that, set your choice wisely or just rely upon your six sense to choose the most money-making cards to grab up to 30,000 coins. 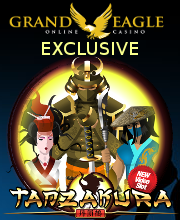 If you get Free Spins Feature, then a huge scoop of 60,000 coins can become yours in the nearest future. Yeah! But here everything depends on the number of Crystal Balls appeared on the reels. 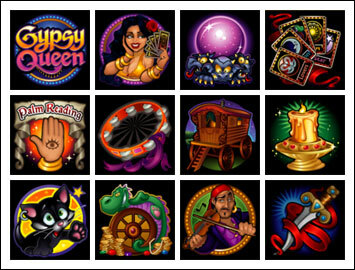 Thus, 2, 3, 4 or 5 Crystal Balls prophesy 12, 15, 20 or 30 Free Spins at 3x Multiplier accordingly! Yeah, Free Games promise nothing but a life of ease. Just try both bonus guessings to have better tomorrow! But if you need to predict the forecast, then you should better go to Triple Twister slot and find out if coin rain is coming soon or not. 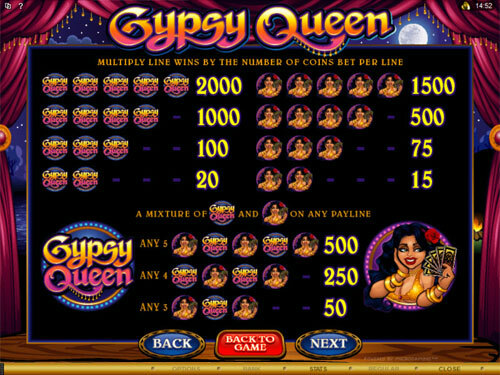 Our Gypsy Queen slot is so virtuosic in prediction of money winnings, that here you don’t need to have a wild to enrich yourself. Only scatter symbol will be enough for that. Yep. Crystal Ball that acts as a scatter divines really promising future. Beyond that it can activate bonus features, it also can bring you huge Multipliers. Yeah! 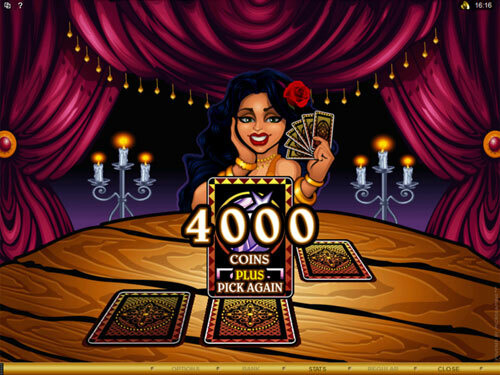 Just use 2, 3, 4 or 5 scattered Crystal Balls from left to right and get 2x, 5x, 20x or 100x Multiplier for your total bet! Are you ready to reveal the secret of your future and get destiny-changing prizes? Then there is only one way to choose. It’s to cross the reel gypsy’s palm with real money stake. Here you are free to choose the fee. Use any coin $0.01, $0.02, $0.05, $0.10, $0.20, $0.25, $0.50 or $1 to determine your bet. Besides that, you can also place up to 10 coins of the certain value per each activated payline. But those who crave to get the most exact prediction and seize the ultimate win of $20,000, should be ready to come down with money… Just fix the max bet of $200 per spin and you will get such a chance! Defy your luck! Catch 5 Gypsy Queen Logos and grab the scoop. And remember nothing ventured nothing gained. But if you’re not ready to pay such a high price for your HAPPY FUTURE, then set a bet to your liking.